The giant panda’s habitat is smaller and more fragmented than when it landed on the endangered species list, despite recently growing population numbers, a new study shows. The study used geospatial technologies and remote sensing data to map recent land-use changes and the development of roads within the panda’s habitat. “But what my colleagues and I wanted to know was how the panda’s habitat has changed over the last four decades, because the extent and connectivity of a species’ habitat is also a major factor in determining its risk of extinction,” Pimm says. The team, which Zhuyan Ouyang and Weihua Xu of the Research Center for Eco-Environmental Sciences at the Chinese Academy of Sciences led, used satellite imagery to examine changes across the panda’s entire geographic range from 1976 to 2013. 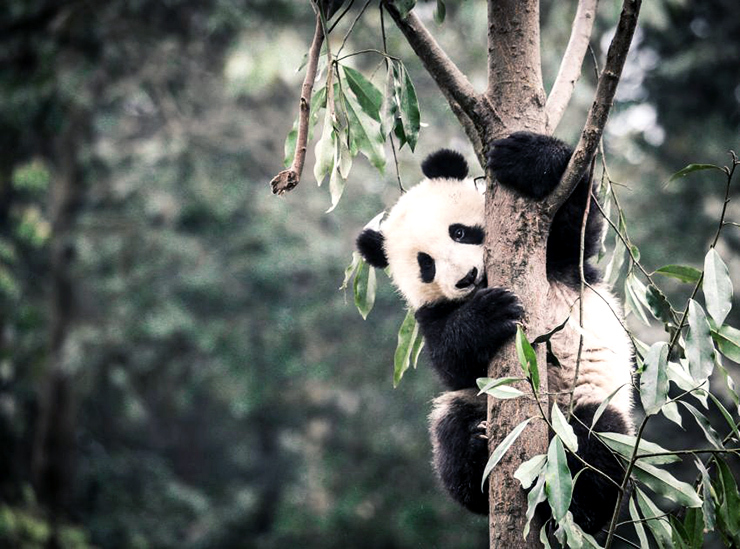 Study coauthor Jianguo Liu of Michigan State University, who began studying the human and natural forces driving habitat loss in the panda’s geographic range in 1996, notes that some of the changes that have occurred in the region are encouraging. Other changes, though highly beneficial to the region’s human population, present challenges from a conservation standpoint. A National Natural Science Foundation of China grant; the Ministry of Science and Technology through a National Key Programme of Research and Development Project grant; the State Forestry Administration; the Worldwide Fund for Nature; and a US National Science Foundation grant funded the research. The research appears in the journal Nature Ecology and Evolution.